The Comet Raised Saloon range has a stunning new flagship in the 62 RS. 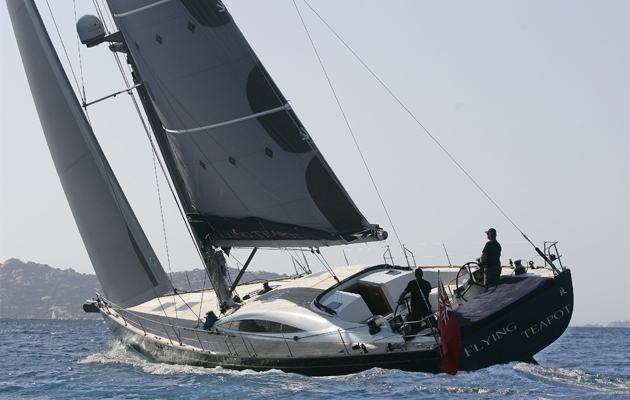 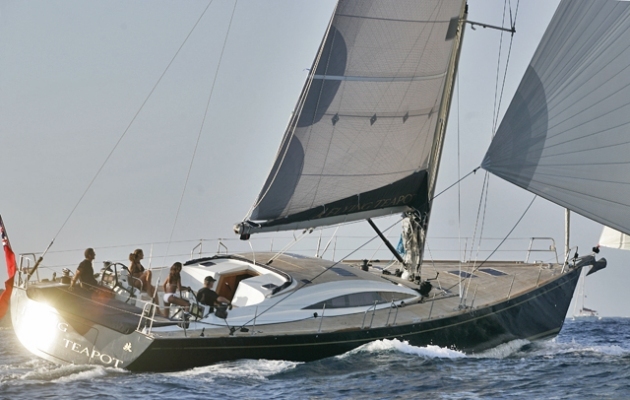 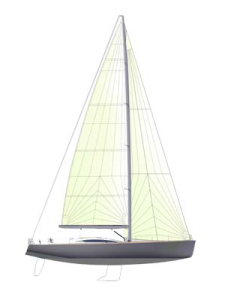 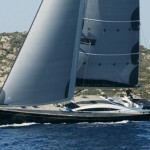 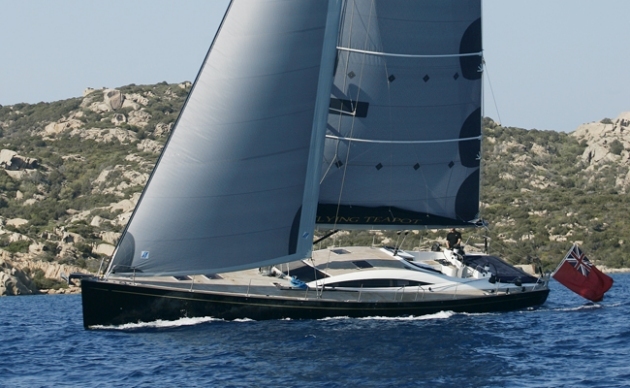 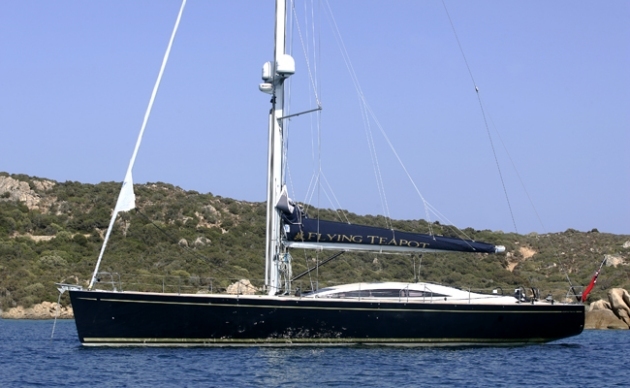 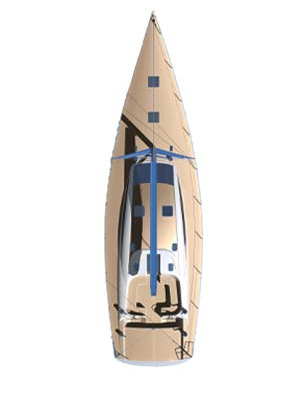 Designed along the same principles as its smaller sister the 52 RS, this aerodynamic 18-metre has a hull designed specifically with performance in mind. 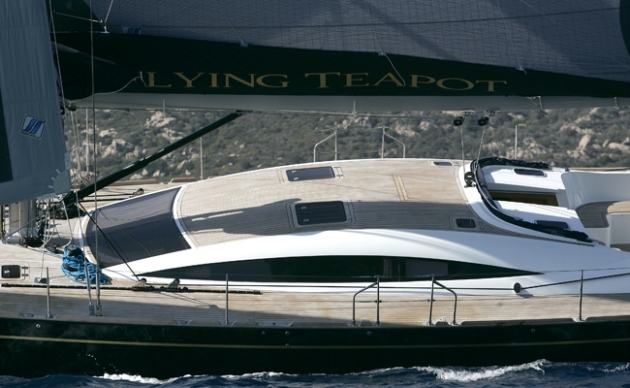 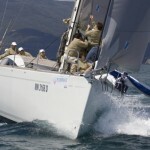 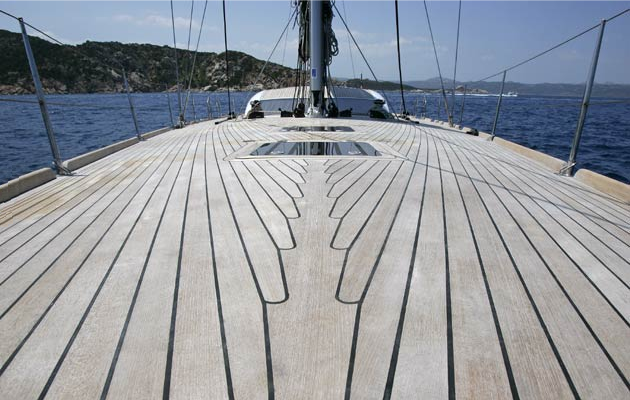 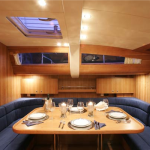 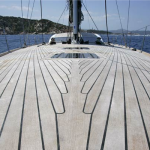 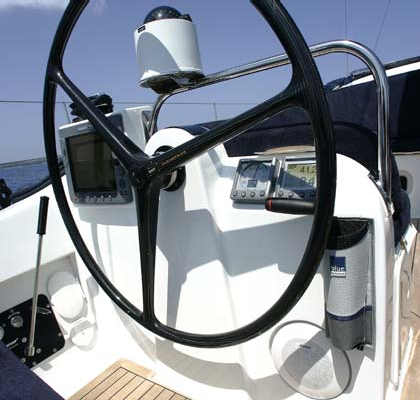 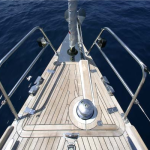 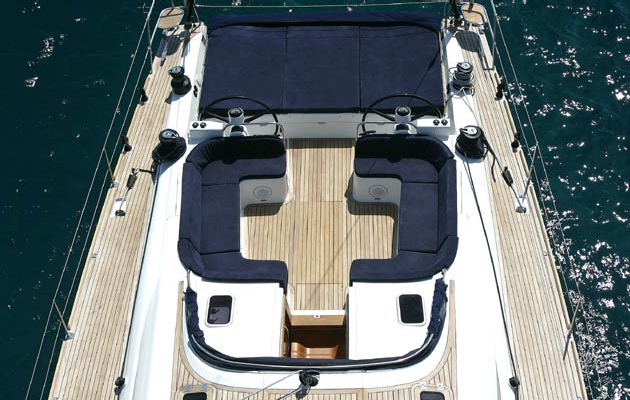 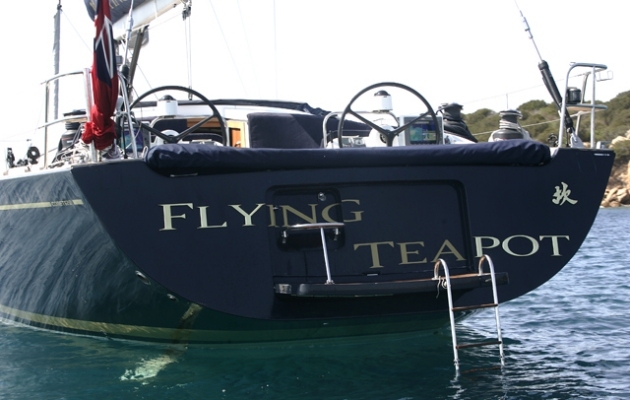 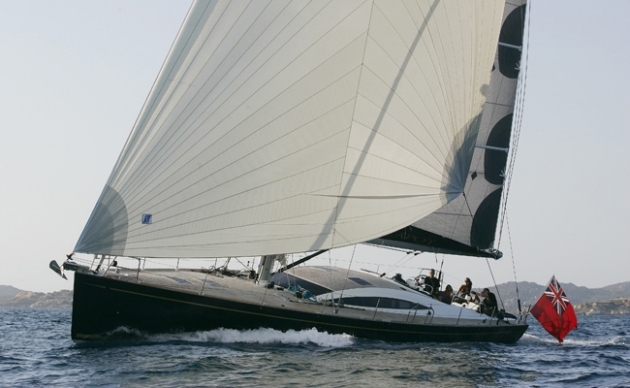 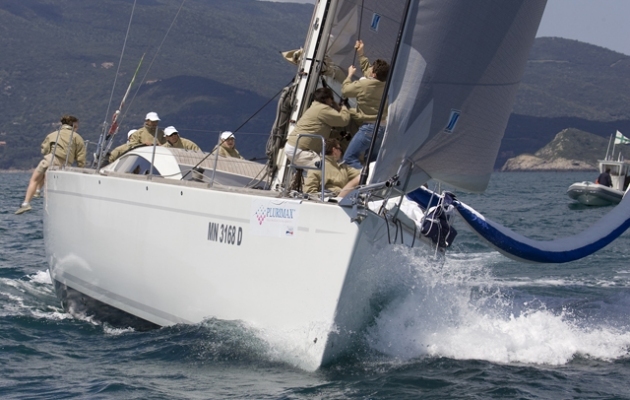 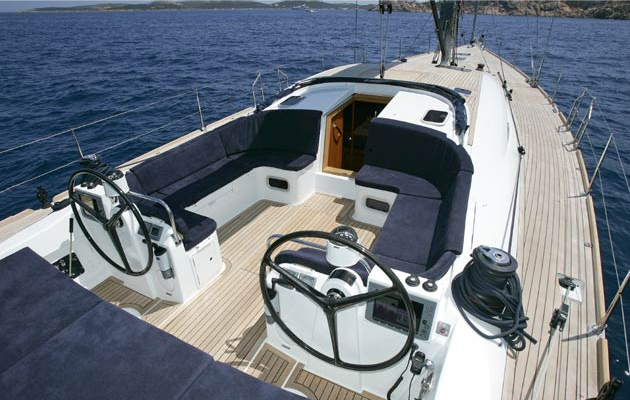 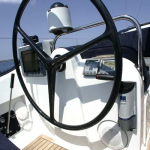 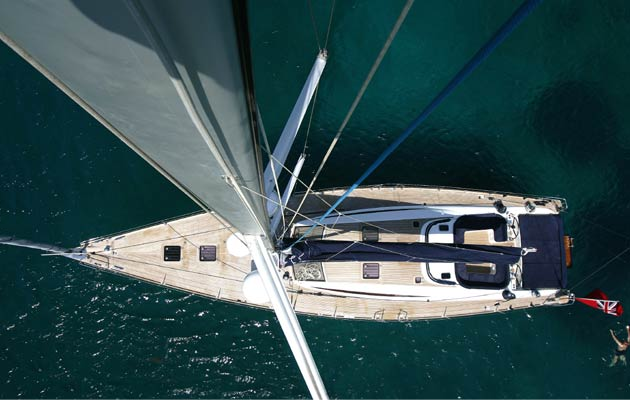 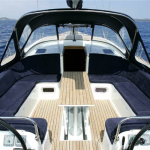 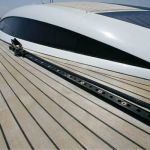 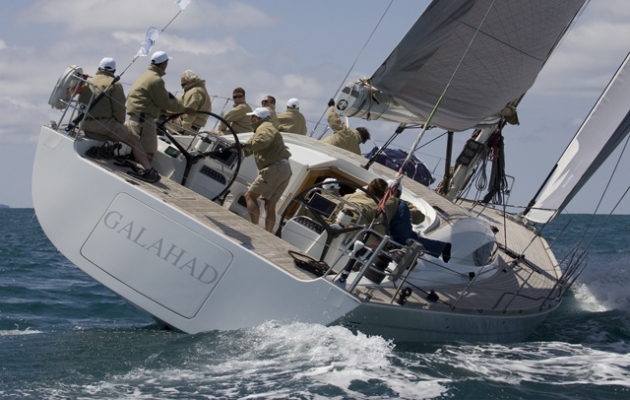 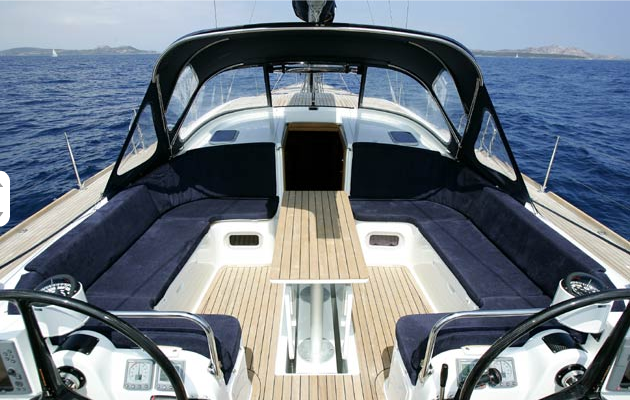 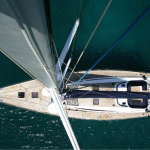 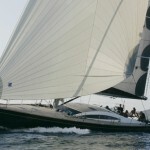 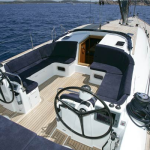 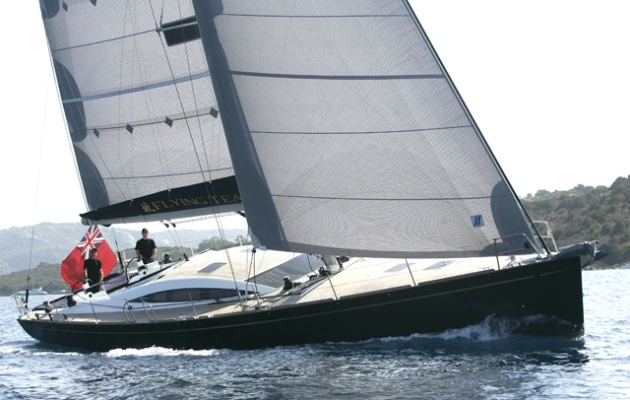 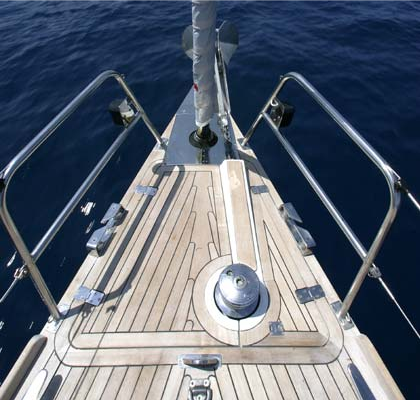 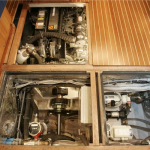 Bow sections have sharp entries while stern sections are imposing but with the transom high on the water so that the wetted surface is variable, optimising performance in all conditions. 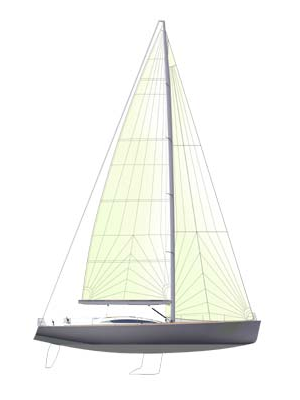 Almost vertical overhangs combined with a pronounced sheer line, give the new model’s form a modern yet elegant look. 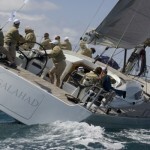 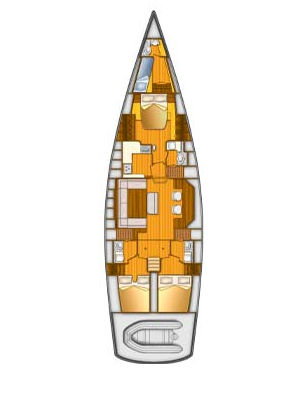 The wedge-shaped deckhouse, characterised by “eagle-eye” windows,is confined to the section of deck aft of the mast, leaving the bow completely clean and the teak staves beautifully untouched. 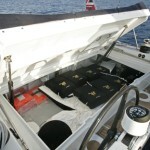 The flush hatches work very well too. 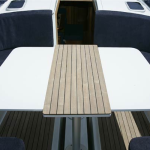 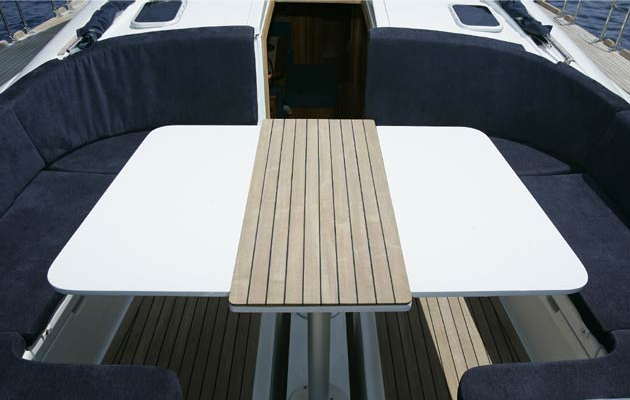 The cockpit sees the sail control areas clustered around the two wheels while the benches have two separate tables which can be used entirely for relaxation purposes. 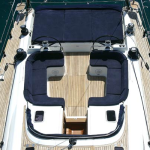 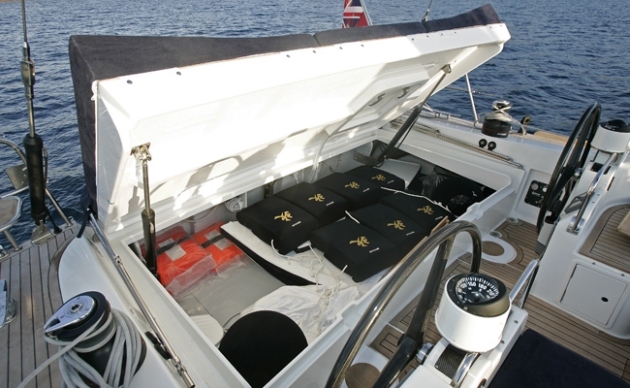 Aft, there’s an impressively large sun pad covering the ample tender garage which can house rigid keel three meters dinghy. 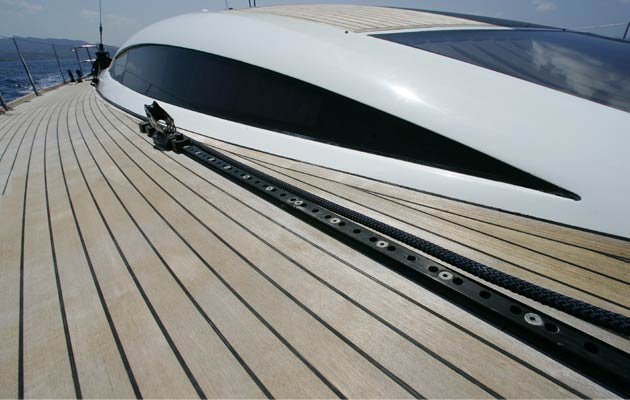 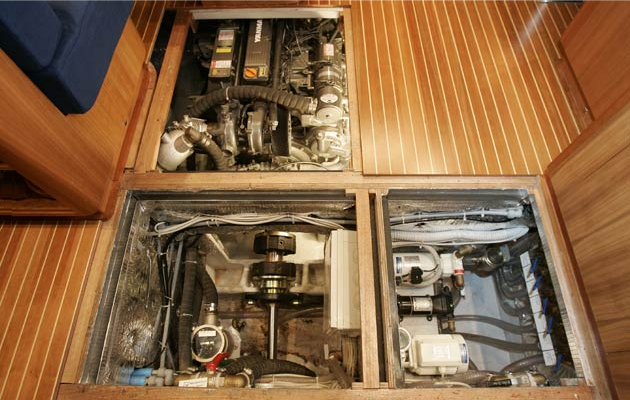 The swim platform opens out from the transom. 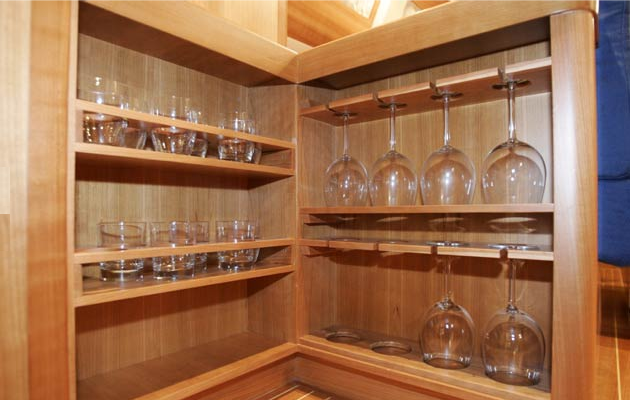 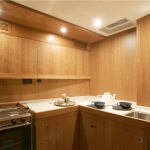 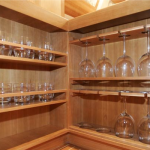 Comar is offering a wide selection of highly customisable solutions for the interiors too. 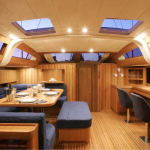 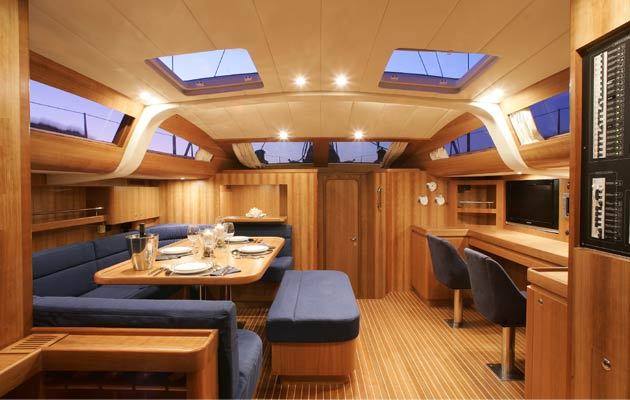 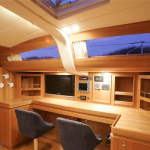 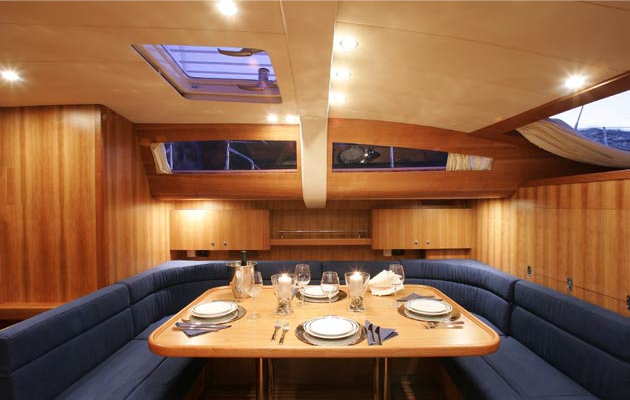 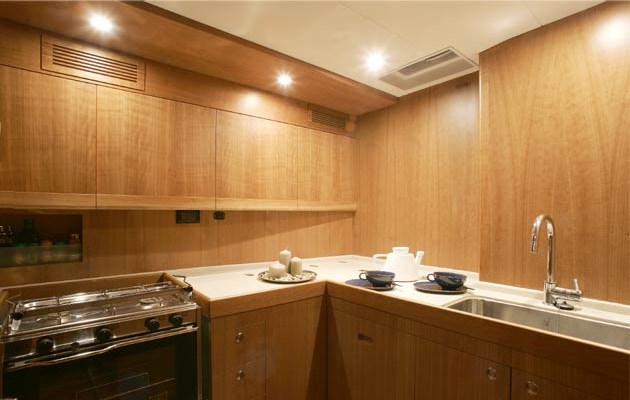 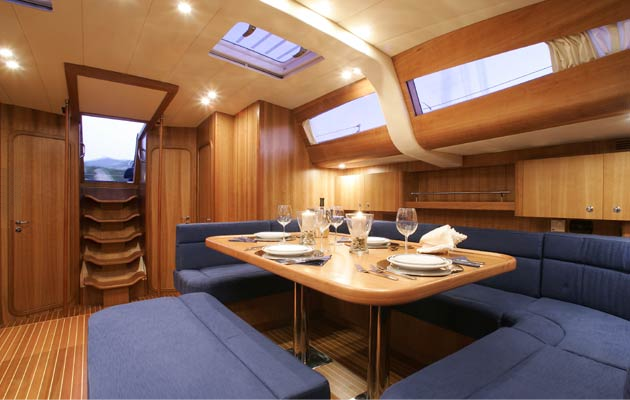 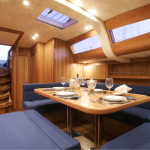 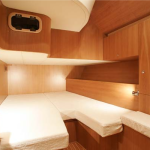 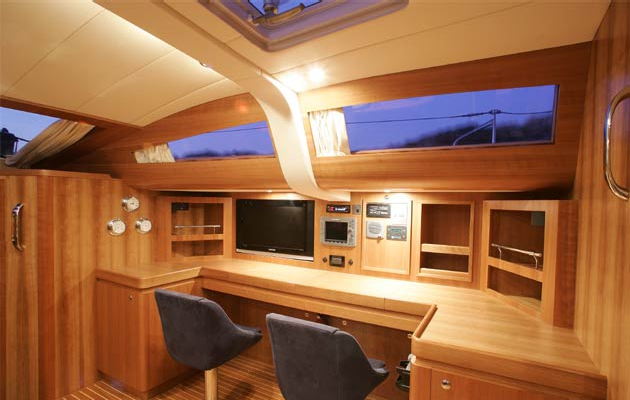 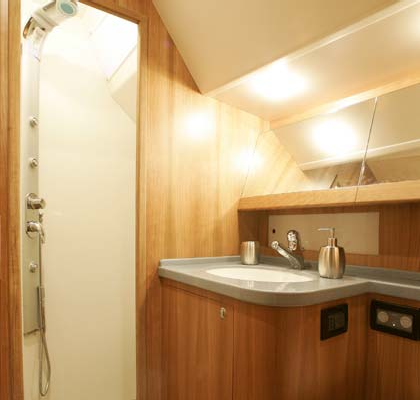 The standard version includes a panoramic saloon devoted entirely to entertainment plus an exceptionally well-kitted out galley that is completely closed off. 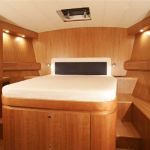 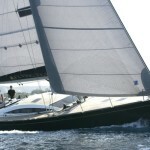 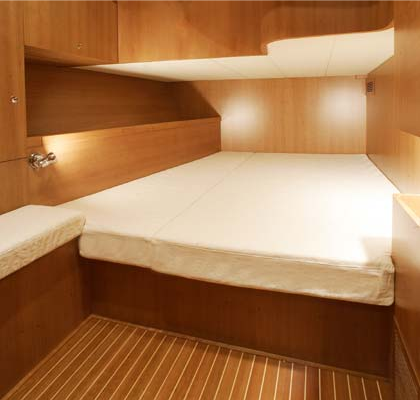 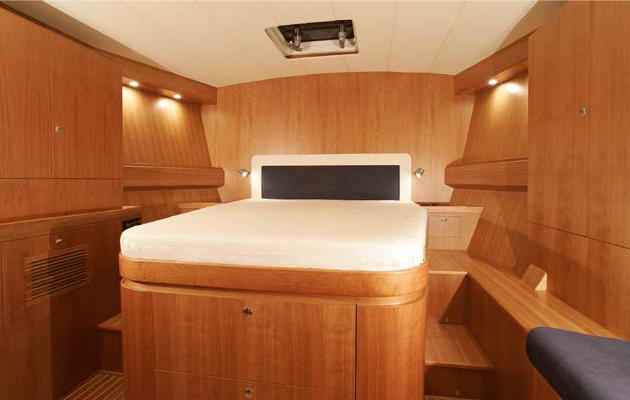 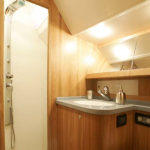 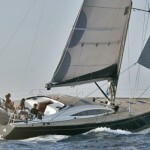 The large master suite, complete with head and separate shower box, takes up the bow area while the two two-berth guest cabins and their heads (also with shower boxes) lie aft. 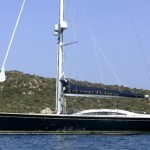 There is a large crew cabin with head in the V of the bow too. 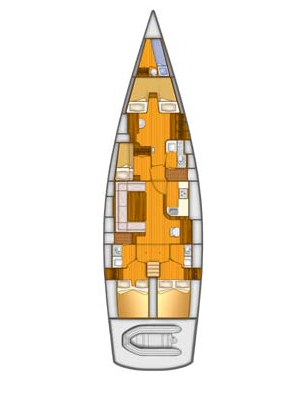 Last but not least, an interesting version with a raised central saloon is also on the drawing board right now.